Quetta: The much awaited final stage of the Ufone Balochistan Football Cup 2018 is starting today at Railway Ground Quetta. Eight teams from six cities will clash in the quarterfinals today. 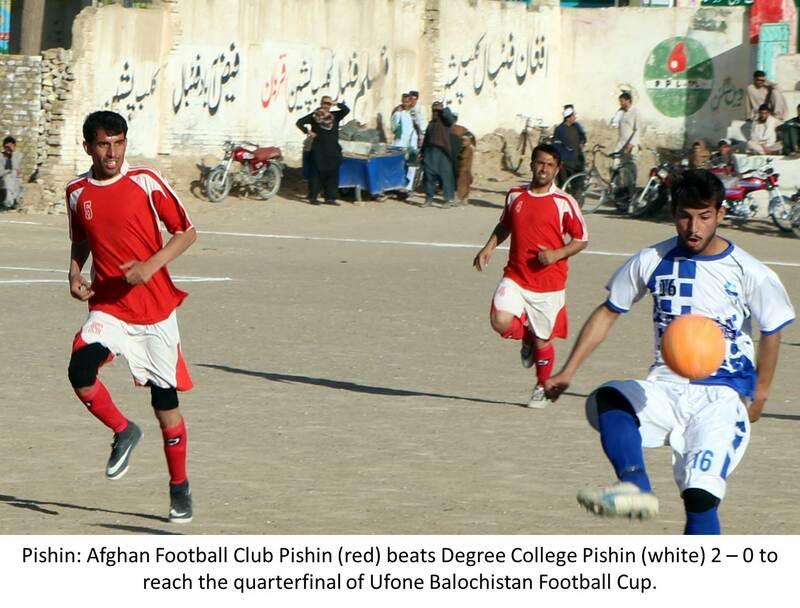 In the first match, Khudai Dad Qalandarni Football Club (FC) from Khuzdar will face Baloch FC Noshki. The second match will be played between Afghan FC Chaman and Azad Baloch FC Noshki. In the third match, Bacha Khan FC Loralai will battle it out for the semifinals with Afghan FC Pishin. In the last quarterfinal Government High School Chaman will challenge Aqua FC Quetta. On 28 March, the winners of first and fourth quarterfinal will play the first semifinal while the successful teams of second and third quarterfinal will face each other in the second semifinal. The winners will play the final on 29 March at Railway Ground Quetta to claim this year’s title. The aim of the championship is to promote football in the province and engage the youth in healthy activities where they can prove their mettle and play along professional football clubs of their cities.